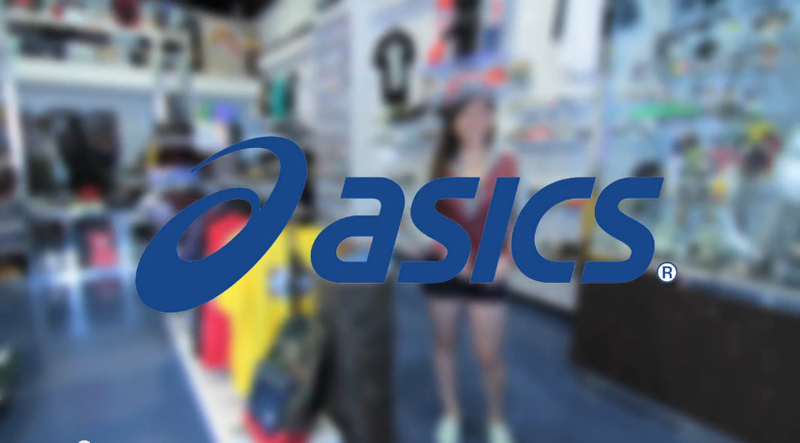 For April and May, BAIT will be giving away a free gift just for trying on a pair of ASICS or Onitsuka Tiger (@OnitsukaTigerUS) shoes – plus holding a raffle for a chance at even more prizes! 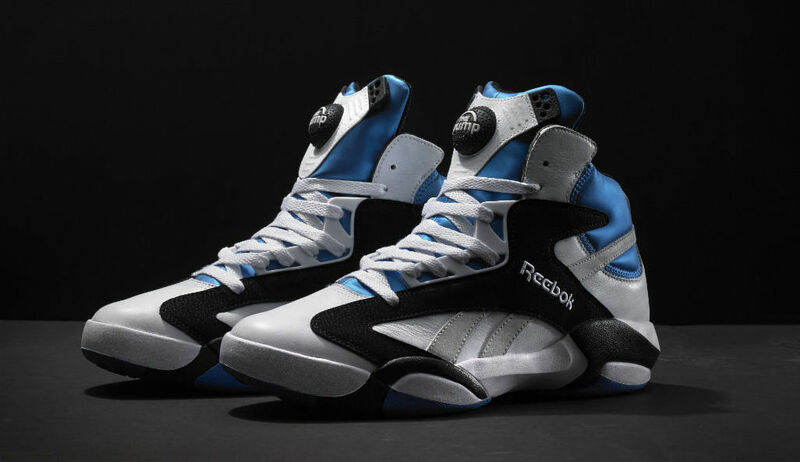 Reebok Shaq Attaq – Available Through BAIT April 19! The legendary Shaquille O’Neal has re-teamed with Reebok to bring some of his classic sneakers back, and BAIT is happy to announce that the first release – the Reebok Shaq Attaq – will be available through the site on April 19! After rolling out a special apparel collection with One Piece on Easter Weekend, BAIT will dedicate its entire second floor to the wildly successful anime/manga franchise. 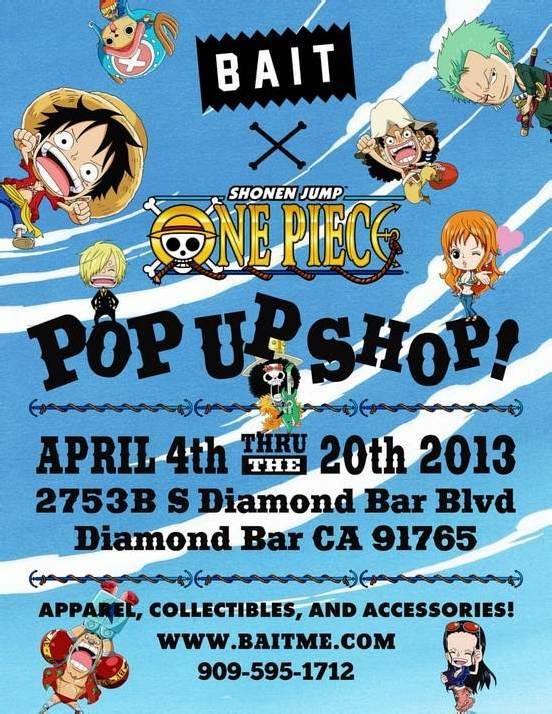 The BAIT x One Piece Pop-Up Shop will bring the magical world of One Piece to the brand’s flagship Diamond Bar location from April 4 until April 20. 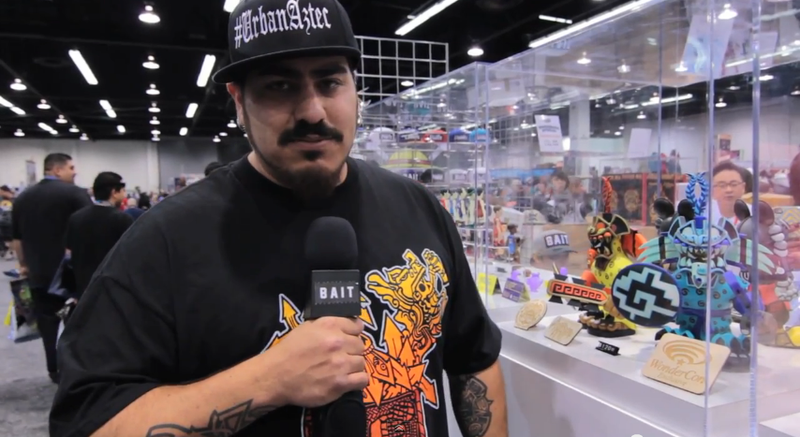 BAIT hit the WonderCon Anaheim 2013 floor with a slew of exclusive products for all the comic book/anime/sci-fi/pop art fans, including the new BAIT x One Piece Apparel Collection and other popular collaborations with BAIT x Street Fighter, BAIT x NBA x Mitchell & Ness Caps, BAIT x ASICS shoes, and BAIT x Marvel statues. BAIT mixes their signature sleek style with the magical world of One Piece in its latest collaboration.